Workforce flexibility, hiring speed, and access to available talent are just a few of the top benefits of using a staffing agency. Using a staffing agency can be greatly advantageous. Here are 6 main reasons how your company can benefit from working with a staffing agency. Many companies turn to staffing agencies to handle all the benefits associated with the candidates they hire including taxes, payroll, worker's compensation, unemployment, and other benefits, thus reducing overhead costs for employers. Staffing agencies find, screen, and match job seekers with employers every single day- and can fill jobs within hours or days. By working closely with the staffing agency recruiter, a hiring manager can ensure that workers are equipped with the skills needed to meet your specific needs. Not sure where to start? View our Comprehensive Guide to Staffing Agencies in Texas. Temporary employees give your company the chance to try out an employee before making a full-time job offer. 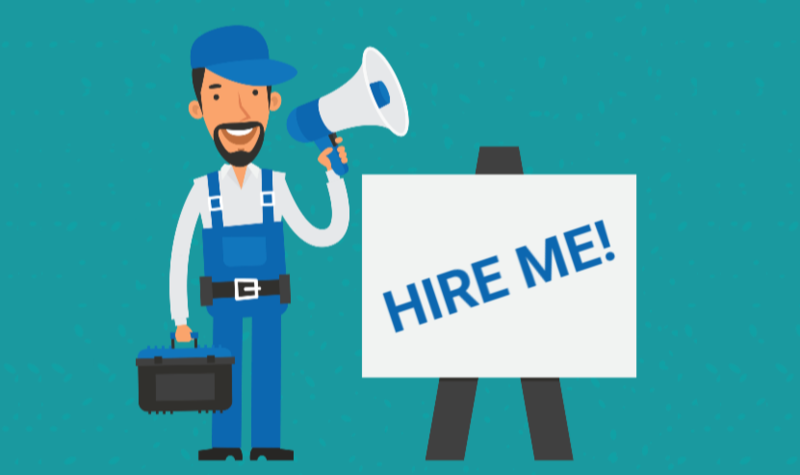 Gauge the fit before hiring a temporary worker, and, if they are exactly what you're looking for you can then decide to hire once they've checked all of your boxes. This is one of the main benefits of using a staffing agency. Temp-to-Hire staffing is the perfect risk-free solution, which is why 47% of staffing clients voted the opportunity to gauge the fit before hiring as a top benefit of working with a staffing agency. The ability to fill the positions faster with an agency than on your own is among one of the top cited reasons voted by staffing agency clients as a top perk of temp services. Staffing agencies have a broad network of candidates and connections that are not easily found through a simple job search. Whether you have a specialized opening that requires a specific skill set, certification, or a large number of openings that need to be filled quickly, an agency is your best bet. Employers are able to adjust their workforce to changes in business demands. Companies depend on staffing services to provide them with talented workers who can meet a wide range of needs. The flexibility to easily change the size of your workforce based on project load or demand is another benefit to using a temporary agency. Top staffing agencies hire recruiters with direct experience in niche industries. 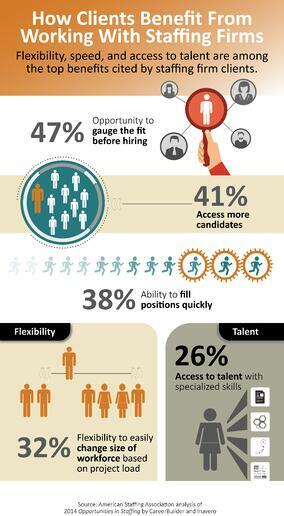 Recruiters know the recent trends and changes in the market. 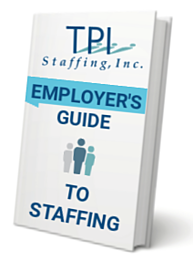 Over 1,500 clients have come to TPI Staffing with a variety of hiring issues and continue to use our resources because they experience the benefit of staffing firms. Not sure where to start? View our Comprehensive Guide to Staffing Agencies in Texas. Or download our FREE Employers Guide to Staffing to learn more about the world of staffing. Other time consuming duties that the staffing agency handles such as pre-screening, verifying references, education checks, processing payroll, unemployment and workers' compensation are other perks you can enjoy not having to do. Give TPI Staffing a call at (855) 855-4473 or or connect with us to discuss the ways we have helped our clients and find out how we can help your company! TPI Staffing has been serving the Houston area for more than 30 years, showing we have helped local businesses since 1988. If you are in need of filling your open positions with the right job candidates, contact our team of recruiters today to work with one of the best temporary staffing agencies in Texas.